Dr. Prem Gupta stands out as a personality whose contribution to the Science of edific(VASTU) is Unparalleled As one of the leading vastu experts of India, he is devoted to its spread all over the world, for the sake of improving the quality of life irrespective of caste, creed religion & community. For new construction (both residential & commercial) Dr Prem Gupta Provides detailed guidance on the basis of the original vastu - science, for site selection direction, design, materials to be used, auspicious time (Muhurtha) for various activities including the house warming ceremony (Gahpravesh) He also advises in purchase of flats, shops & other already constructed premises. His advices have worked wonders in the cases when people have been suffering due to health, financial or psychological problems. Thousand have turned their losses into profits and attained happiness & peace in life after coming in contact with Dr. Gupta Apart from examining vastu, he is a palmist and horoscopist. Dr Gupta also takes recourse to Mantra (Chanting of sacred hymns). Yantra (sacred geometrical contrivances). Tantra (occult practices). Puja (worship of deities) and havanlyagya (fire-sacrifices) The sole aim is to bring peace. good health & prosperity in people’s lives & guard them from various dangers. Vastu is a science which can not be mastered by reading books alone. One has to attain higher level of consciousness so that his sensory powers can perceive the dynamics of extremely subtle vibration of nature. This ancient science of sages & seers effulges in one’s consciousness only through rigorous Sadhna (avowed spiritual practices) This is what makes Dr Gupta stand tall in world of vastu That is also the reason why more & more people are trusting Dr Gupta His popularity is increasing among all Hindu, Christians, Muslim, Parsis & Sikhs. He got his doctorate after elaborate research in vastu. Today he is the guiding high for more than thirty Social Cultural & Spiritual organization. He has also organized in many parts of the world Vedic Exhibition from time to time. Vastu- Saurabh (Hindi) Essentail of Vastu A Glimpses of vastu proof life Vastu ya Chamatkar (Hindi) His book Vastu Sourabh (in hindi) was released by Mr Ashokji Singhal The President of Vishwa Hindu Parishad, India. He Has Contributed a large number of articles to several journals, magazines & newspapers The Times group has requested him to write a column on Panchang in the Navbharat Times His articles does keep appearing in Rajasthan Patrika , Dainik Jagran and Navbharat. 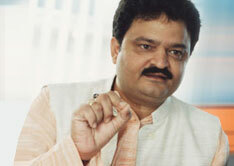 He also holds and addresses Conferences, Seminars and Speeches like Mind Power, Lions Club, Redio Mirchi, Rotery Club. He also do television shows like Zee tv, Shara Samay tv Sanskar tv etc. The Vastu Shastra is founded upon the laws of nature. The equilibrium, significance of it can very well be noted from the movements of motorcars, ships, airoplaines, trains. The Buses are so accurately balanced that even deflation in any one of the tyres, can cause a serious accident if it is running at a high speed. Similarly, when a building is constructed without observing the rules of Vastu Shastra, various calamities, diseases and accidents take place. This is the eternal rule of nature and it has no place for any logic, doubt or debate.